Yesterday morning started with my usual oats for breakfast. I topped them with chia seeds and hemp hearts, plus a delicious apple plum compote. My parents gave me a big bag of fruit and I wasn’t able to get through all of it, so I preserved some to freeze for later. 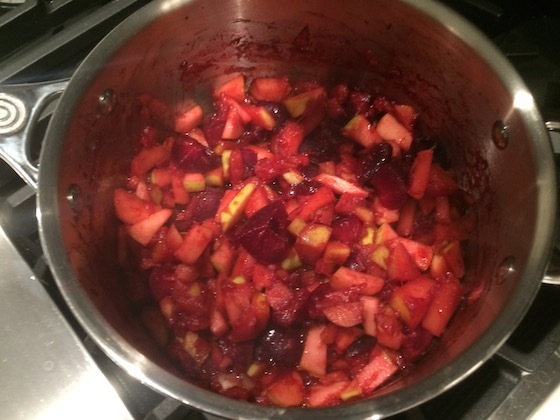 I cut the apples into small chunks and sliced the plums, then cooked them in a saucepan with a little water, a few spoonfuls of brown sugar, some cinnamon and the juice of a lemon. 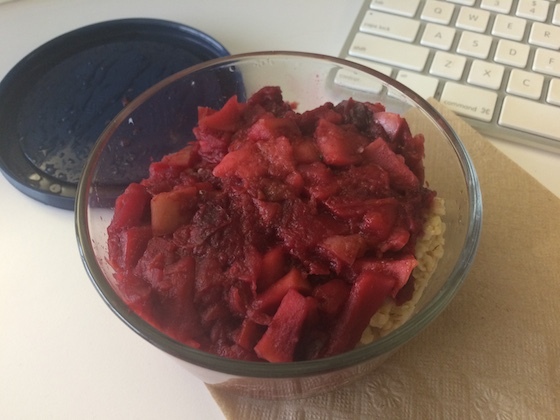 It turned out delicious, like a slightly tart, bright red applesauce. I snapped a photo as I was cooking because it was just so beautiful. I forgot (again) to take a photo of my lunch. I’m not doing too well with this, am I? I think it’s a sign that I’m not incredibly excited about the lunches I’m eating. It was Mexican, and I had a serving of enchiladas, some black beans, and some sweet potato. For dinner I enjoyed more Mexican: another serving of my dinner bowl from earlier this week. 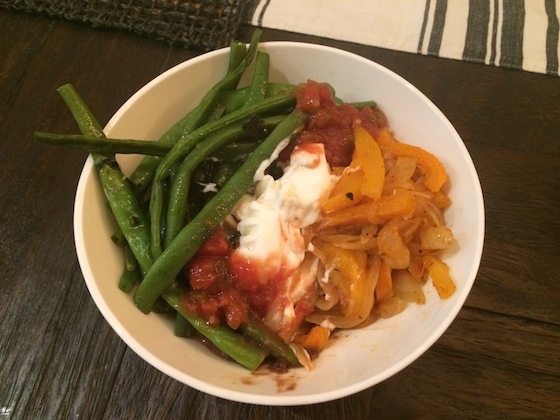 It was so easy to throw together and the perfect warm and comforting dish for a cold night. After dinner I enjoyed a few pieces of dark chocolate and a glass of refreshing almond milk. Then, I curled up in bed. It was the perfect relaxing Thursday evening before a busy weekend!